Front Body: 100% Quilted Nylon Ripstop. Back: 95% Polyester, 5% Elastane Stretch Bonded Fleece. Insulation: 100% Hi-loft Polyfill. Insulated quilting on chest front for lightweight warmth. Contrast front zipper and pockets. Stand up collar with chin guard. Colours: Black/Red | Black/Cyan | Black/Lime | Black/Silver | Black/Magenta. Front Body: 100% Quilted Nylon Ripstop. Back: 95% Polyester, 5% Elastane Stretch Bonded Fleece. Insulation: 100% Hi-loft Polyfill. Insulated quilting on chest front for lightweight warmth. Contrast front zipper and pockets. Stand up collar with chin guard. Colours: Black/Cyan | Black/Lime | Black/Red | Black/Silver. Outer: 65% Polyester, 35% Cotton water repellent jersey fleece. 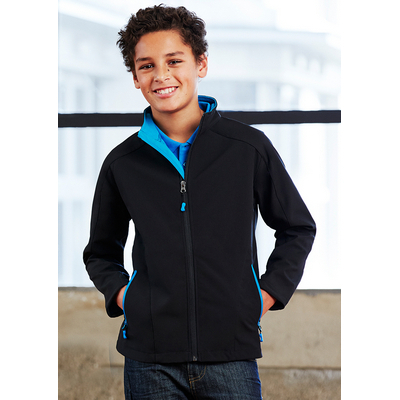 Inner: Bonded 100% Polyester fleece with inner membrane. 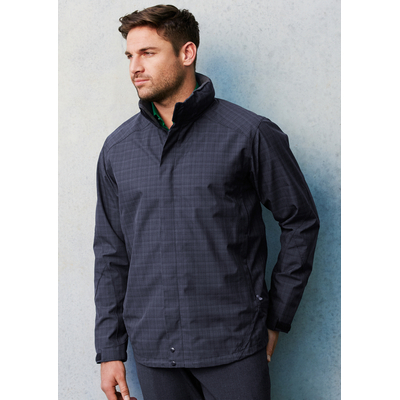 BIZ TECH Breathable, water repellent technical fleece jacket. Bomber style with knitted ribbed hem and cuff. Removable hood, high collar with chin guard. Taped water proof right chest pocket. Waterproof front and pocket zippers. BIZ TECH TECHNOLOGY FEATURES. Water Repellent rating - 6000mm. Breathability - 1000g/m². Windproof. Colours: Grey/Black. 50% Pre-Shrunk Wool, 50% Acrylic - 12 Gauge. Machine washable on wool setting. Contemporary V-neck style. Ribbed side panel detail. Colours: Charcoal | Navy | Black. Outer: 100% Polyester. Inner: Bonded Contrast textured micro-ribbed fleece lining. Stand up collar with soft chin guard. Contrast side zippered pockets with toggles. Scalloped longer back tail. 2 way front zip with movable sliders. BIZ TECH TECHNOLOGY. Water Repellent rating - 3000mm inner membrane. Breathability rating - 3000g/m². Windproof. Colours: Black/Graphite | Black/Gold | Black/Green | Black/Red | Navy/Graphite | Black/Cyan. Outer: 100% Polyester. Inner: Bonded Contrast textured micro-ribbed fleece lining. Stand up collar with soft chin guard. Contrast side zippered pockets with toggles. Scalloped longer back tail. BIZ TECH TECHNOLOGY. Water Repellent rating - 3000mm inner membrane. Breathability rating - 3000g/m². Windproof. Colours: Black/Graphite | Black/Cyan | Navy/Graphite | Black/Green | Black/Gold | Black/Red. Wool-Rich - 80% Merino Wool, 20% Acrylic - 12 Gauge. Fully fashioned needle out knit. Contemporary styling, low pill. Machine washable on wool setting. Colours: Black | Navy. 50% Wool, 50% Acrylic - 12 Gauge. Machine washable on Wool setting. Colours: Red | Forest | Maroon | Black | Charcoal | Navy. Outer: 100% Polyester with contrast Micro Fibre panels. Inner: Single jersey lining. Raglan sleeve top with piping detail. Full zip front with two zippered pockets. Zipper access for embroidery. Elasticated sleeve cuffs with adjustable velcro flap. Colours: Black/Red | Black/Gold | Red/White | Black/White | Navy/Gold | Navy/Red | Royal/Gold | Navy/White | Royal/White | Forest/Gold | Black/Orange. Outer: 100% Polyester with contrast Micro Fibre panels. Inner: Single jersey lining. Raglan sleeve top with piping detail. Full zip front with two zippered pockets. Zipper access for embroidery. Elasticated sleeve cuffs with adjustable velcro flap. Colours: Navy/White | Black/Orange | Navy/Gold | Red/White | Royal/Gold | Royal/White | Black/White | Black/Gold | Black/Red | Navy/Red | Forest/Gold. 50% Pre-Shrunk Wool, 50% Acrylic - 12 Gauge. 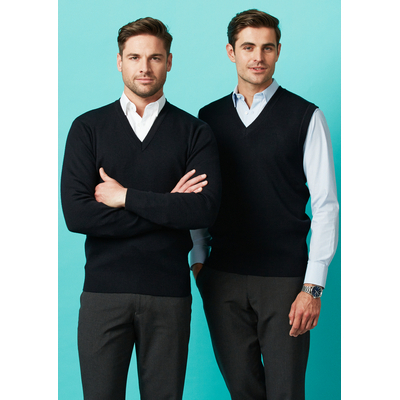 Contemporary V-neck style features ribbed side panel detail. Machine washable on wool setting. Colours: Black | Charcoal | Navy. 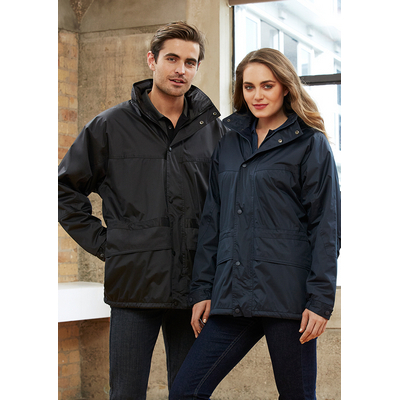 Outer: 100% Polyester with Reflective piping. 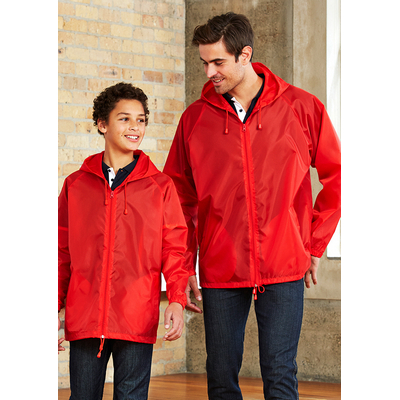 Lining: 100% Polyester Poly Fleece with Taffeta. High wind collar with hidden zippered hood and adjustable drawstrings. 2 Concealed zippered front pockets. Right vertical zippered chest pocket and velcro inside left breast pocket. Elasticated/velcro sleeve cuff with adjustable tab. Inside zip access for embroidery. Audio port accessfrom inside chest pocket. Colours: Black/Graphite | Navy/Red | Black/Fluoro Lime | Black/Gold | Black/Red | Navy/Fluoro Lime | Navy/Graphite | Navy/Gold. Outer: Seam-sealed 100% Polyester shell. Lining: 100% Polyester Brushed fabric. Subtle crosshatch fabric pattern. Detachable, fully lined hood. Stand up collar with soft chin guard. Inside chest pocket, audio port access. Adjustable cuff with velcro tab. Side zippered pockets. Longline with adjustable waist buckles for shape and a 2-way waterproof front zip with storm flap. Internal embroidery access. Available in Graphite only. BIZ TECH TECHNOLOGY. Water Repellent rating - 6000mm inner membrane. Breathability rating - 1500g/m². Windproof. Colours: Graphite. Outer: 100% Breathable Polyester. Inner: Bonded contrast textured micro-ribbed fleece. Stand up collar with soft chin guard. Adjustable cuff with velcro tab. Contrast side zippered pockets with toggles. Scalloped longer back tail. BIZ TECH TECHNOLOGY. Water Repellent rating - 3000mm inner membrane. Breathability rating - 3000g/m². Windproof. Colours: Navy/Graphite | Black/Graphite | Black/Green | Black/Gold | Black/Cyan | Black/Red. 100% Showerproof Polyester. 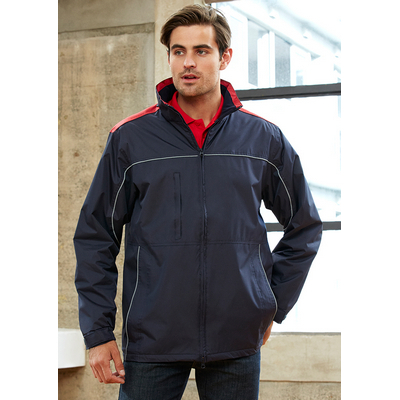 Unlined, full front zip spray jacket with pouch. 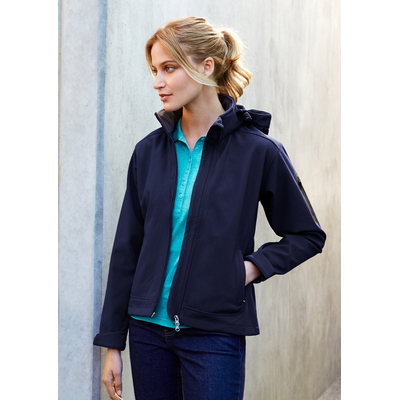 Hood with drawstring, elastic cuff and side pockets. Ideal for screenprinting. Easy generic sizing options. Colours: Red | White | Fluoro Yellow/Lime | Navy | Black. Outer: 96% Polyester, 4% Elastane - 4 Way Stretch Breathable Ripstop Shell. Lining: 100% Polyester - Waffle Fleece with Bonded Membrane. Adjustable cuffs with laser cut welded pocket on sleeve. Full zip front with storm flap and elastic drawstring hem. Audio port access. Detachable adjustable hood. Concealed zippered front pocket and internal mobile pocket. BIZ TECH TECHNOLOGY. Water Repellent rating - 3000mm inner membrane. Breathability rating - 1000g/m². Windproof. Colours: Navy/Graphite | Black/Graphite. BIZ TECH SPECS. Water Repellent rating: 5000mm inner membrane. Breathability rating: 2000gm². Windproof. 100% Polyester Breathable Ripstop Shell. Inner bonded waterproof membrane. Seam-sealed. Concealed 2 way zippered front with storm flap. Semi-elasticated adjustable cuff with velcro tab. Detachable hood. Zippered laser cut side pockets. MP3 Wire management. Internal cell phone pocket. Available in Black and Navy. Colours: Black | Navy. 100% Polyester Shell and Lining - fully lined. Zip front jackets with 2 inside chest pockets and side pockets. 2 way zip front. Inside zip access for embroidery. Available in Black only. Colours: Black. 100% Polyester Shell and Lining - fully lined. Zip front jackets with 2 inside chest pockets and side pockets. Concealed press stud cuffs. Inside zip access for embroidery. Available in Black only. Colours: Black. Outer: 100% Polyester Seamsealed Shell. Lining: Anti-pill Micro Fleece. High wind collar with hidden seamsealed hood. Adjustable drawstrings around waist and bottom. Full zip with snap-down storm flap for added protection. 2 Way front pockets - zippered top and side hand-warmer pocket. Elasticated/snap down sleeve cuff with adjustable tab. Zippered inside left chest pocket. Inside zip access for embroidery. Available in Black and Navy only. Colours: Navy/Navy | Black/Black. Outer Shell: 100% Polyester Jacquard. Lining: 100% BIZ COOL anti-snag diamond mesh. Grid mesh underarm panels for breathability. Stow-away hood with print feature. Unique sleeve print feature with adjustable velcro cuff. Two side zippered pockets. Contrast panels, piping and inside placket.. UPF rating - Excellent. Colours: Black/Red | Black/Ash | Black/White | Grey/Fluoro Lime | Maroon/White | Navy/Gold | Navy/White | Royal/White | Black/Gold | Navy/Sky. Outer Shell: 100% Polyester Jacquard. Lining: 100% BIZ COOL anti-snag diamond mesh. Grid mesh underarm panels for breathability. Stow-away hood with print feature. Unique sleeve print feature with adjustable velcro cuff. Two side zippered pockets. Contrast panels, piping and inside placket.. UPF rating - Excellent. Colours: Black/Red | Black/Ash | Black/White | Maroon/White | Navy/Gold | Navy/Sky | Navy/White | Royal/White | Black/Gold | Grey/Fluoro Lime. Outer: Seam-sealed 100% Polyester shell. Lining: 100% Polyester Brushed fabric. Subtle crosshatch fabric pattern. Detachable, fully lined hood. Stand up collar with soft chin guard. Inside chest pocket, audio port access. Adjustable cuff with velcro tab. Side zippered pockets. 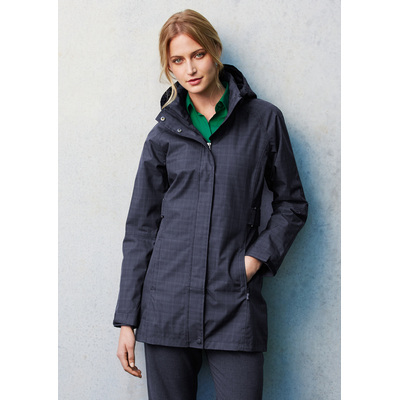 Scalloped longer back tail and a waterproof front zip with storm flap. waterproof front zip with storm flap. Internal embroidery access. Available in Graphite only. BIZ TECH TECHNOLOGY. Water Repellent rating - 6000mm inner membrane. Breathability rating - 1500g/m². Windproof. Colours: Graphite. Outer: 100% Micro Fibre Jacquard Ripstop with Micro Fibre panels. Body inner: Single jersey lining. Sleeve inner: 100% Polyester Taffeta lining. Raglan sleeve top with flash splice and twin stripe detail. Full zip front with two zippered pockets. Zipper access for embroidery. Elasticated sleeve cuffs with adjustable velcro flap.Colours: Black/White | Red/White | Navy/White | Forest/White | Navy/Gold | Navy/Sky | Navy/Red | Black/Gold | Royal/Gold | Royal/White | Black/Grey | Black/Red | Forest/Gold | Maroon/White. 100% Merino Wool - 12 Gauge. Fully fashioned, V neck basque. Contemporary styling and fit. Colours: Black/Charcoal. 50% Wool, 50% Acrylic - 12 Gauge. Machine washable on Wool setting. Colours: Red | Maroon | Forest | Charcoal | Black | Navy.